Trainers earn US$5000+ for a 2 day program helping organizations being productive while having fun. Get certified in Bali, March 26-27. 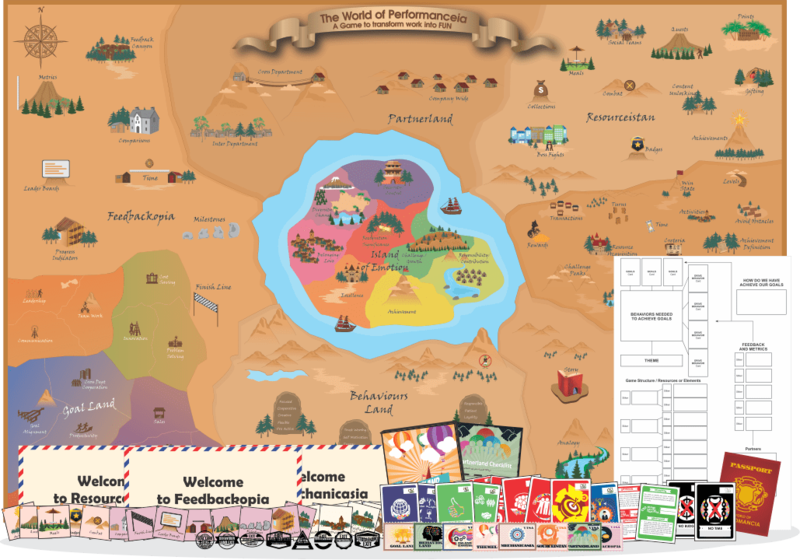 Participants of this program will learn how and create gamified work performance activities through playing the “World of Performanceia” game. 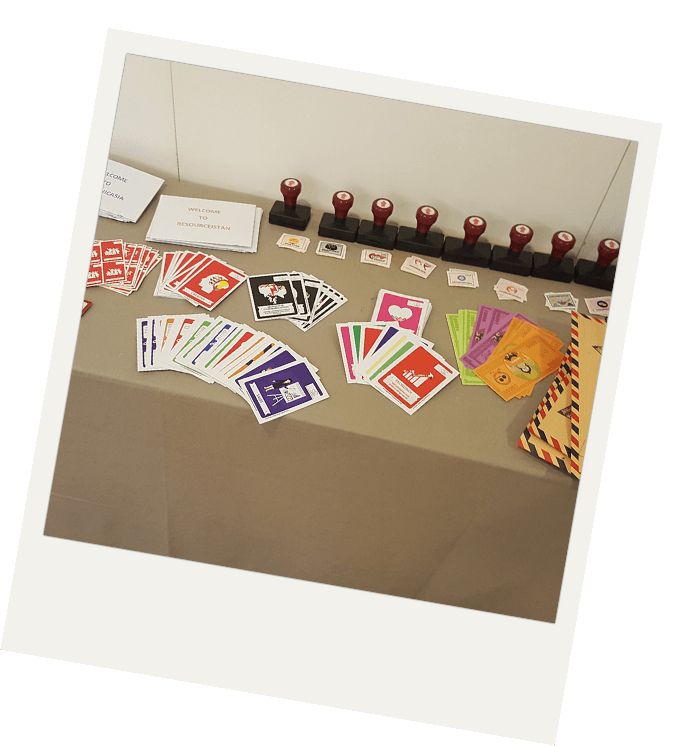 This workshop is interactive and teaches elements of gamification through gamified facilitation. Improve productivity, learning and engagement through gamification. Contact us for the next Certification with Arthur Carmazzi, Because the Performencia Gamification Game applies internationally accredited Directive Communication Psychology, this certification is globally accredited by the American Institute of Business Psychology. 2. 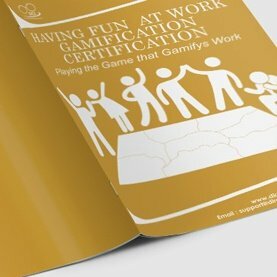 An intensive understanding of the psychology of Work Gamification and how to apply it. 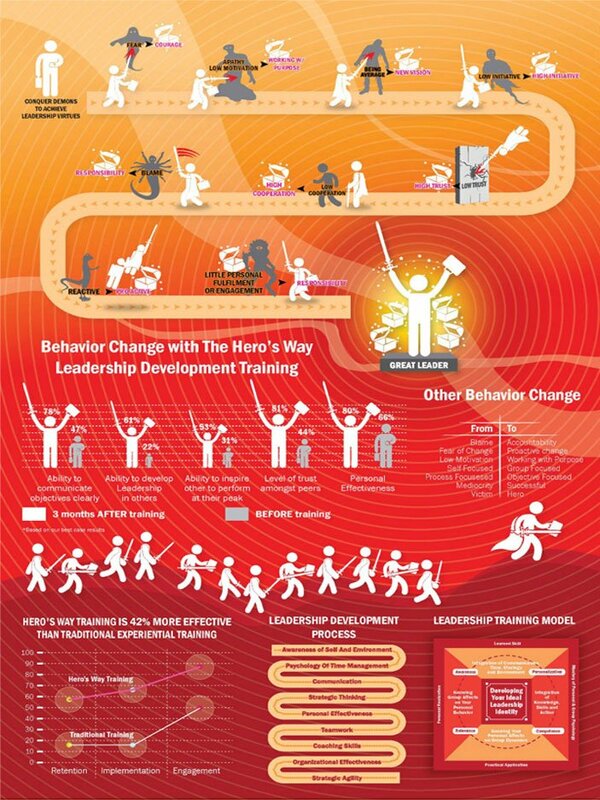 performance in organizations or teams. Participants will go on a journey through the world of Performanceia (a land that develops higher levels of performance and passion). 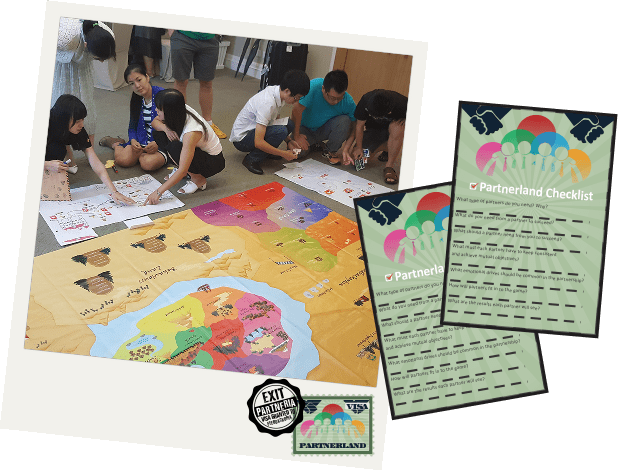 With passports in hand, participant teams start in Goal Land to identify and refine their objectives and problems to solve using gamification on this life size map… but there are obstacles they must overcome and communication, compromise and association that must occur before they can complete this first step. The journey continues to Behaviour Land (if you managed to get your Visa), where the desired behaviours to achieve the goals are researched and defined… but behaviour is a tricky thing and clearly defining and recognizing them is all part of the process of creating a game to trigger them. Exit through immigration and take a boat to The Island of Emotion where you will identify the psychology and emotional drive to motivate the identified behaviours here you must buy the emotions you need with Emotional Currency… But exiting will not be as easy as identifying them, you will need to prove to immigration that you can get other team members to FEEL these emotions too. 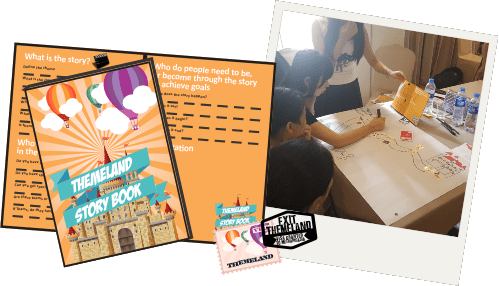 Take a boat and enter Themeland to ignite your team’s creativity in conjuring more fun with a Game Story. But be careful, fun and fantasy produces brain chemicals that increase innovation and creative problem solving… soon, there may be no more problems to solve! 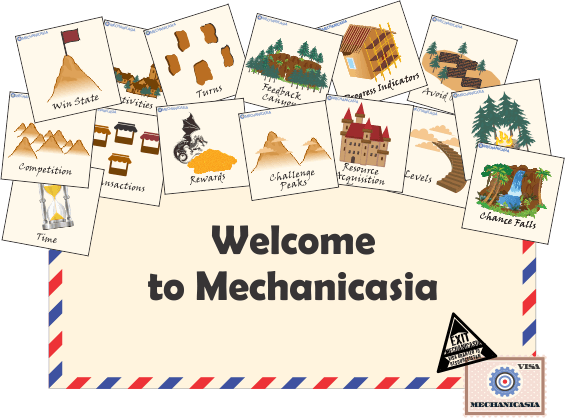 Mechanicasia welcomes you, but there is a big culture difference from the fantasy of Theme Land… Mechanicasia is all about structure, and fitting all of your previous travels and learnings into in to a systematic game construct. Here you build up from the foundation of the game objective and create processes within the theme to bring out the emotions and behaviours required to achieve the objective… Yes, Mechanicasia is hard work but it’s all a game (a structured game to make it easier) and so achievement and success are fun. Resourceistan is a breath of fresh air when you arrive. Immigration gives you your welcome packet and the trip is like one big shopping spree for the resources you need to make your game mechanics work. More excitement with adding depth and engineering the elements of fun to your work gamification. 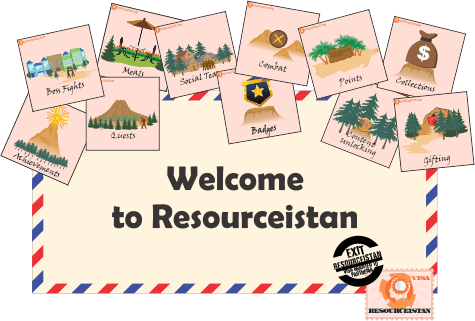 When you leave Resourceistan, you will have a great sense of achievement since you will be able to see your gamified work processes becoming clear and your work related objectives becoming reachable. The people of Partneria greet you with friendly and cooperative open arms, that is what Partneria is all about… cooperation. 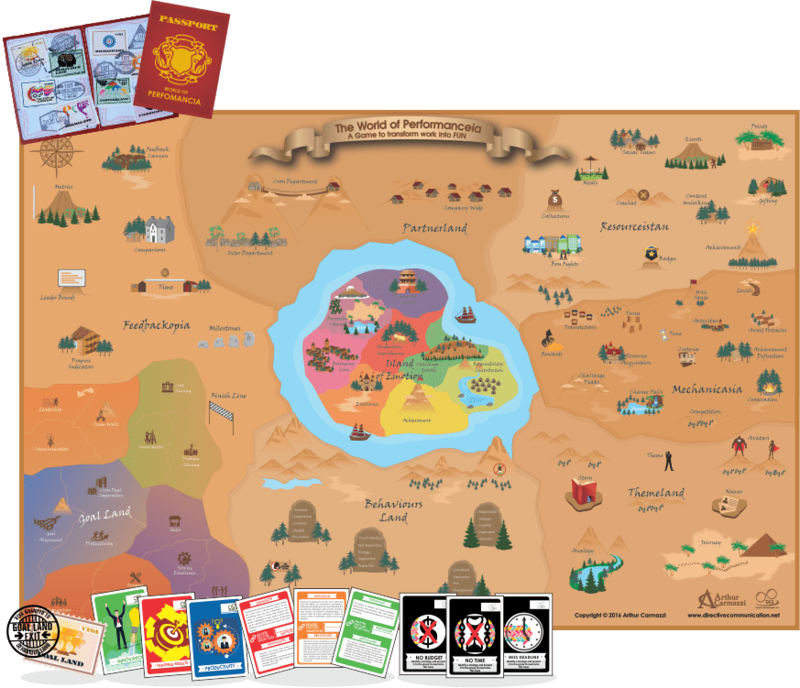 Immigration provides you with a journal and questionnaire to identify and engage other people, departments, leaders and key players to make your work gamification have the biggest most complete effect possible. 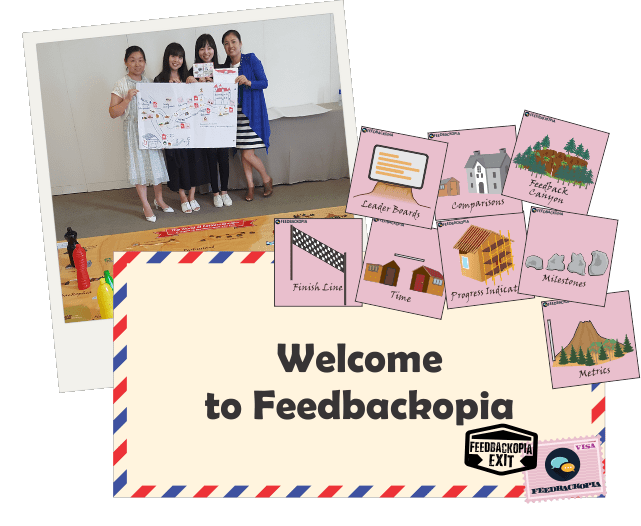 Feedbackopia is the final stretch where everything comes together… the emotional impact of seeing, feeling and experiencing your results as you reach the gamifyied goals and objectives become clear and quantifiable. The emotion affects the behaviours, and don’t forget the Passion and Engagement, and these support even MORE SUCCESS AT WORK. As we complete the journey and race, those who are first to cross the finish line with all the required stamps and quality assurances have the most choices in regards to presenting their journey to the class… and then the real journey begins.